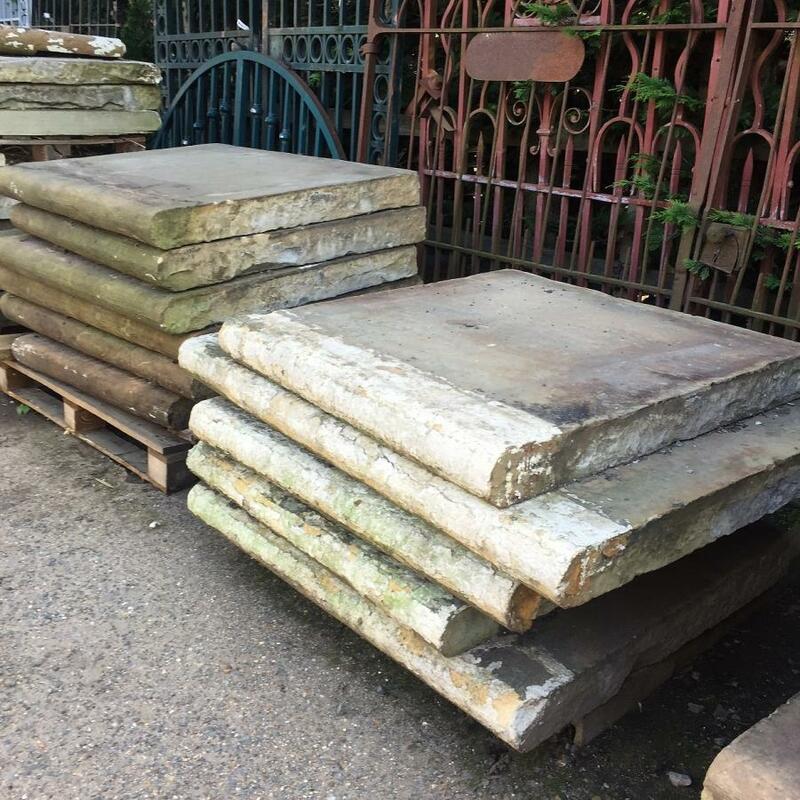 A large quantity of reclaimed bullnosed yorkstone. 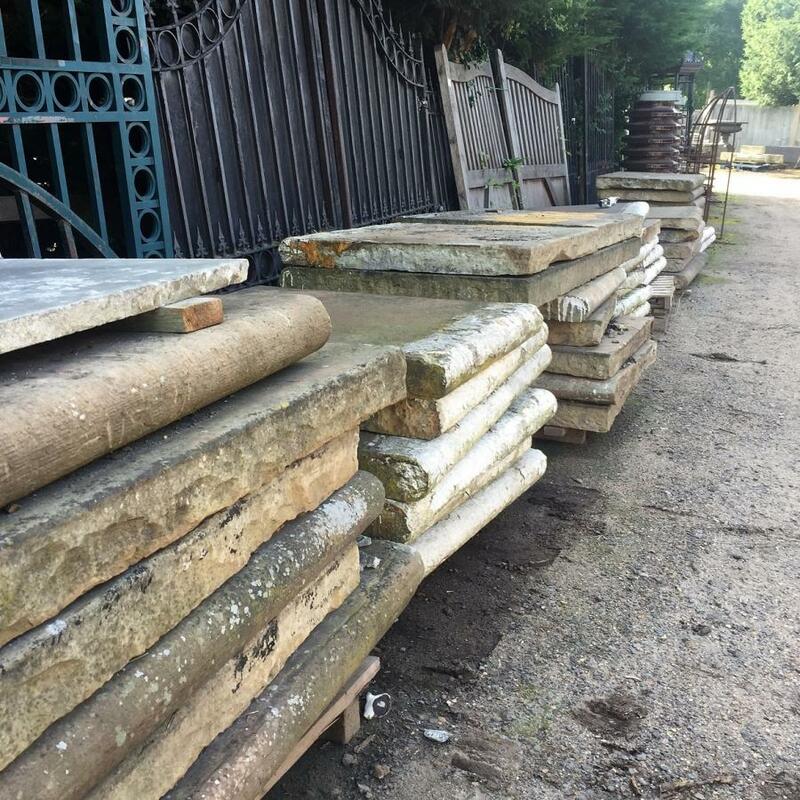 The stone is currently palleted and ready to be collected. 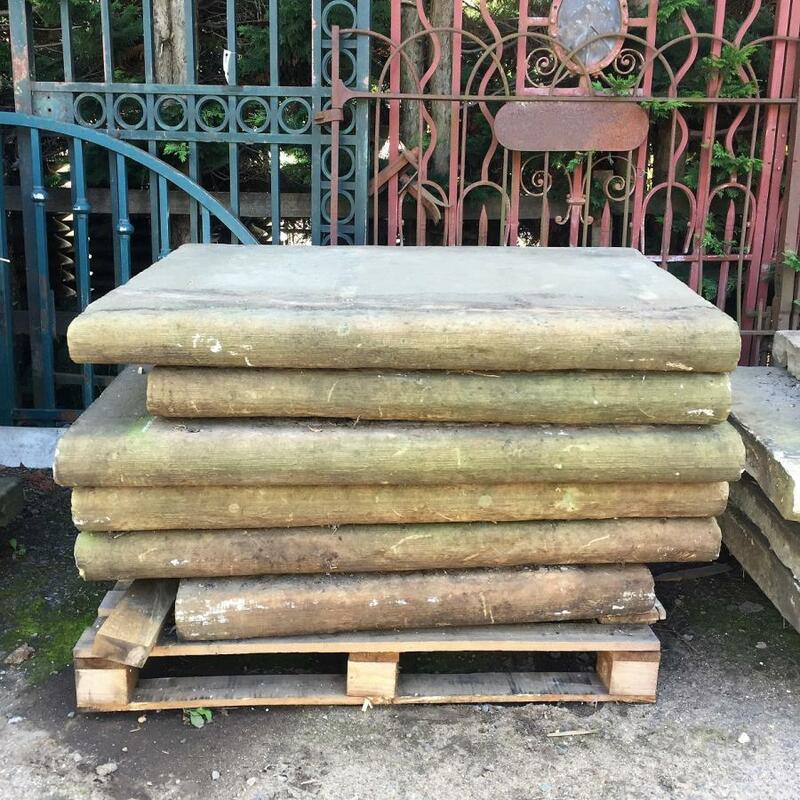 Dimensions: 10cm thick x varying widths x 90cm deep Priced at £150+VAT per linear meter.